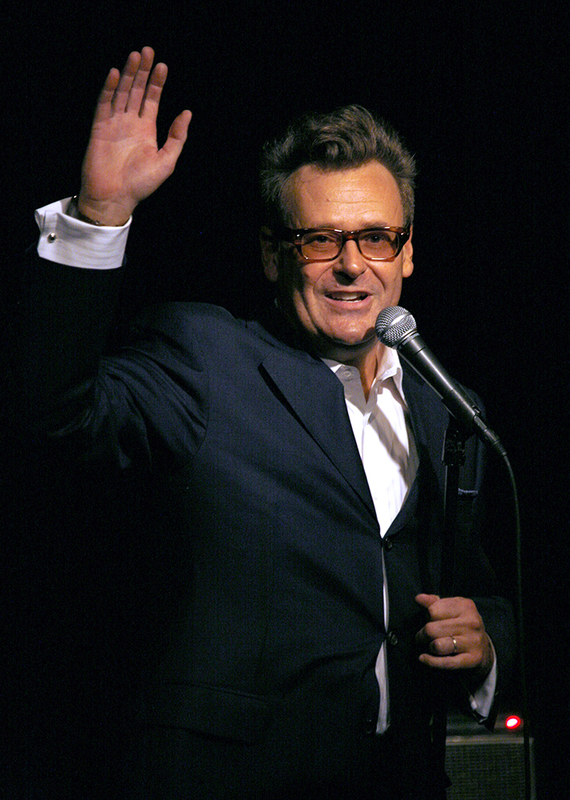 Greg Proops is a stand up comedian originally from San Francisco and currently residing in Hollywood. Greg is best known for his unpredictable appearances on Whose Line is it Anyway? ABC’s hit, improvised comedy show hosted by Drew Carey. Greg is also a regular on the long running British version of WLIIA?. Whose Line is currently seen in reruns on ABC Family Channel. Greg’s other notable TV work includes stints on HBO’s Flight of the Conchords, ABC’s The Drew Carey Show, and PBS’s Bob the Builder. Most recently Greg was a series regular on the hit Nickelodeon series True Jackson VP starring Keke Palmer, NAACP Image Award winner, as True. Greg played ‘Max Madigan’ - president of Mad Style and earned kudos for his energetic, eccentric performance. Greg is a frequent guest on The Late, Late Show with Craig Ferguson, Chelsea Lately on E! and on Red Eye with Greg Gutfeld on Fox News Channel. Additionally, Greg has been a guest on Late Night with Jimmy Fallon, The View and The Bonnie Hunt Show. In 2011, Greg launched his “Smartest Man in the World” podcast which developed as a sizeable following online and is one of iTunes most downloaded comedy podcast. Greg has begun touring the world with the show, performing everywhere from Los Angeles to Amsterdam. In July 2013 Greg shot his first stand up special exclusively for the web through the popular comedy platform VHX.com. Greg’s special “Greg Proops Live at Musso and Frank Hollwyood” was the first ever comedy special shot at legendary Hollywood eatery Musso and Frank and is available through his website on March 26th, 2014. Greg also tours the country as a much-sought after stand up comedian at alternative comedy clubs and festivals. He also appears frequently on Comedy Central’s hit late night series @midnight.